Trust KIMTECH* Brand for consistent, high-quality products. Laboratory protection with the ideal products that are suitable for your university lab. Resolve to Recycle the Right Way. Help your company mitigate waste and reach its Corporate Social Responsibility (CSR) goals. Offering top quality and innovative brands; we're recognized for developing technologically advanced and reliable gloves. Available in a range of protection levels, sizes and shapes; all providing total and ultra-reliable coverage. 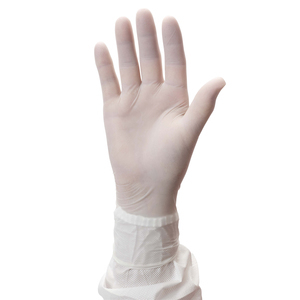 From cleanrooms to chemical plants, we meet your requirements for superior, comfortable and durable protective clothing. KIMTECH* Brand wipers deliver innovation and precision performance for all your cleanroom needs. JACKSON SAFETY* and SMITH & WESSON® Brand eye protection products provide safety, quality and comfort for a full range of applications. We incorporate sustainability into everything we do – from design and manufacture to distribution and disposal. A Personal Selection Guide that helps you choose the products that best meet your needs. Available in a range of protection levels, sizes and shapes; all providing total and ultra-reliable coverage.. Educate yourself by reading our white papers, case studies, news releases and more.